I’m happy to report that proper leek prep has now been going strong for a few years now, so it felt only right to celebrate with a soup of our own. And boy, am I excited to share this one! 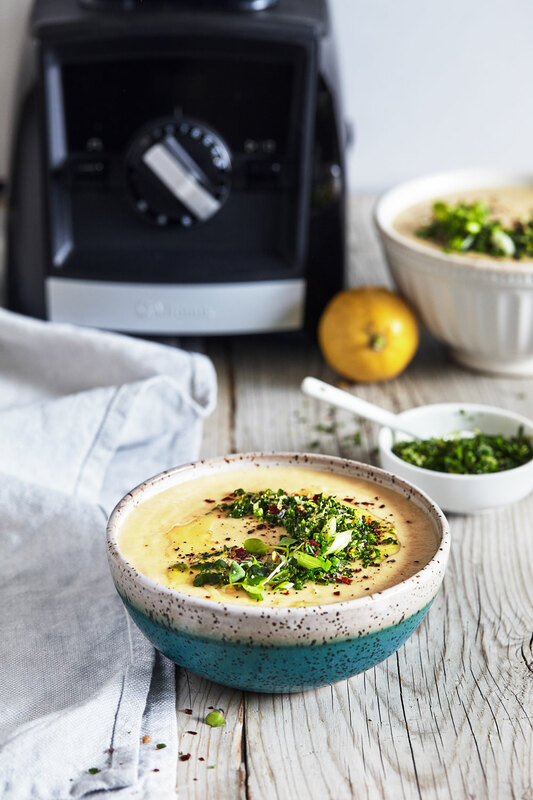 This recipe has all the flavors of a classic potato leek soup, but with some easy “extras” to make it fresh and exciting. Parsnips add a hint of sweet and earthy flavor. It’s a combination I love. We skipped the dairy on this one, which helps lighten up the soup and keep it vegan. And to brighten everything up (it is spring time after all! ), there’s a fresh Chive Gremolata to go with it. The name sounds fancy, I know, but it’s only 4 ingredients and so worth it. 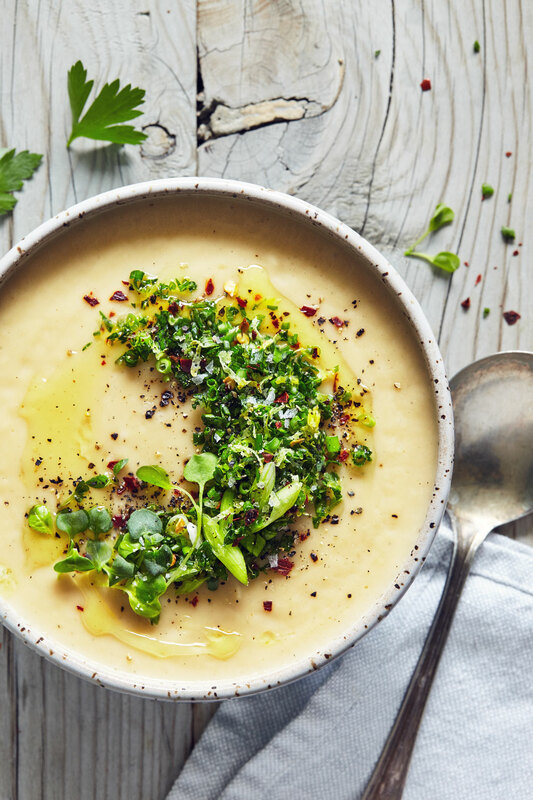 I find that a bit of acid can really round out the flavors in a soup like this one, so this recipe calls for using a lemon in two ways: juice in the soup, and rind in the topping. It makes a difference, trust me. Chop potatoes and parsnips into similarly sized cubes. Roughly chop onion. Add potatoes, parsnips and onion to baking sheet. Drizzle with 2 tablespoons olive oil and toss to coat. Use as a topping for Potato Parsley & Leek soup. Any extras should be stored in the fridge covered.